Toroidal inductors are categorized as passive electronic components; which are defined by any device or physical entity in an electronic system that affects electrons or their associated fields. All toroidal components are manufactured with a circular shaped magnetic center that has materials of high magnetic permeability. Iron powder or ferrite is two of the more popular materials that have high magnetic permeability. Toroidal coils have a multitude of applications, but can be commonly be found in AC electronic circuits and high frequency transformers. Toroid inductors have more inductance per turn, and they have the capacity to carry more current than solenoids that are made with similar core materials and sizes. There are different types of toroidal inductors that are most commonly categorized by case size dimension, current rating, nominal inductance, dc resistance, packing type, and tolerance. The most common sizes for DC resistance are measured in mΩ. 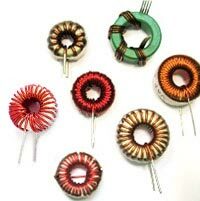 There are many different applications for toroidal inductors. 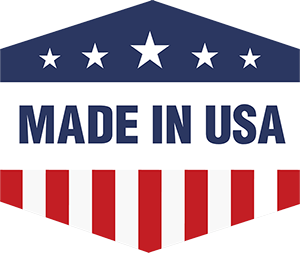 They are used in medical devices, musical amplifiers and instruments, industrial controls, refrigeration units, ballasts, clutches, aerospace and nuclear products, and air conditioner equipment. The best way to purchase the right toroid inductor is to filter your search by certain attributes. The attributes that you look for in a toroidal conductor should be tolerance, current rating, and nominal inductance. Toroidal transformers insure the conversion of one alternating current form of one voltage into another. A toroidal transformer is a cylindrical shaped object, which has a torus surface. The doughnut shaped coil of wire possesses higher inductance and carries greater current than solenoids. They are mainly used as transformers in primary power supplies. The toroidal coil is excellent at limiting resistance, as a result of its larger diameter and smaller number of winding. Inside of the core is a magnetic flux that prevents energy from being absorbed by nearby objects. There are many advantages of having toroidal transformers. In comparison to standard laminated power transformers, toroidal transformers are quiet, and operate efficiently with a minuscule amount of stray magnetic fields. The tiny stature and weight is allows a package that is simple to design for any purpose. Toroidal transformers are also highly efficient because they are created out of a contiguous wound ribbon. Without any air gap, the entire core allows the transformer to operate at higher Telsa measurements. Many industrials can provide custom made toroids for all electromagnetic purposes. Transformers or inductors can be specially crafted for a specific application.